The complete communicator you and your business can rely on, dependable in quality, performance, compatibility and availability. Available in Smooth, Super Smooth, Eggshell and Stipple Finishes. Classic Crest Paper's are best in class; dependable in quality, performance, compatibility, availability and completeness of offering. 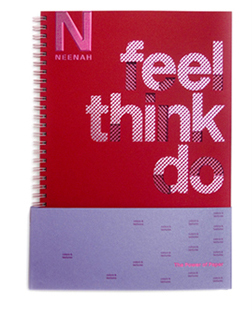 Classic Crest Paper's biggest feature is their perfect ten common colors that unify and complement the full array of Neenah colors in which are always compatible and classically current. Classic Crest Paper's also features 21 smooth finish colors including Red Pepper and Patriot blue as part of the 10 common Classic paper colors. Two new finishes, Stipple and Eggshell, writing and text weights in all finishes that are laser and ink jet guaranteed, expanded heavy weight options including 165lb double thick cover in five colors, and matching envelopes.